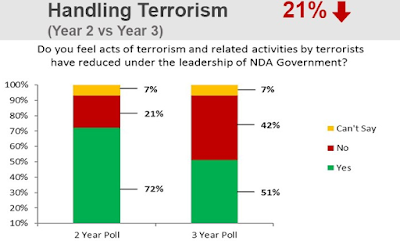 There is a whopping 21% decline in just one year among urban Indian youth who believe that the Narendra Modi government has been successful in its fight against terrorism. Top Delhi-based consultant, LocalCircles, headquartered in Santa Clara, US, had found that last year 72% urban citizens felt terrorism had reduced under Modi, but this year it is down to 51%. LocalCircles report on the survey says, “Terrorism has been a huge issue in India for the last few decades. 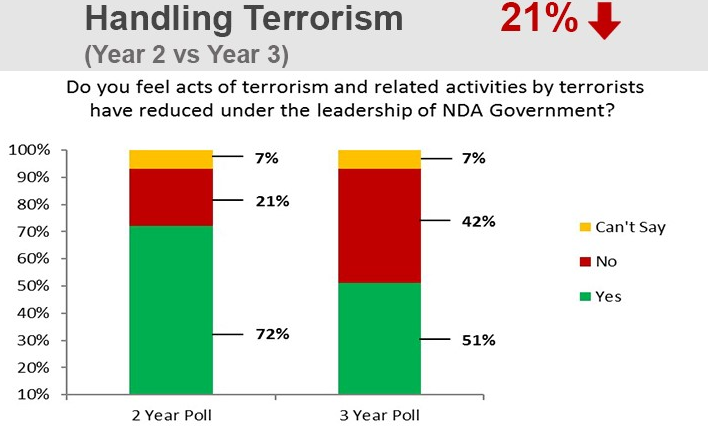 The current Government has taken some tough stance on terrorism in the last couple of years.” However, when asked if “they felt that acts of terrorism and related activities have reduced in the last 3 years”, 51% citizens agreed, 42% disagreed, 7% chose not to answer. 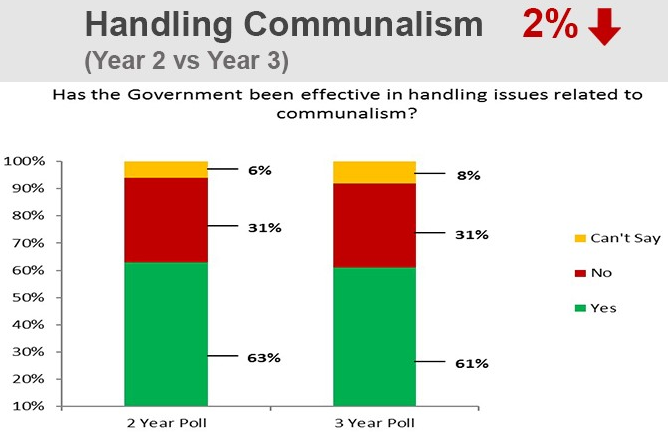 Though ironical it may seem, a huge majority, of those surveyed, 61% of mainly city youths, felt the Modi government has handled “communalism related issues” quite well, which is just a marginal drop of 2% from last year. Further, the report finds that 81% citizens – down from 90% last year – “feel that India’s image and influence in the world has improved under the leadership of the current government in the last 3 years”. An organization which primary focused on urban daily life, even as addressing urban communities’ “common issues”, LocalCircles claims its survey is “largest” of its kind, involving “over 40,000 unique citizens”, 68% of which are males -- 42% from tier 1 cities, 28% from tier 2 cities, and the rest from tier 3 cities and rural locations. Average of those surveyed is 32 years. If last year 35% people in 2016 said that unemployment had reduced under the Modi government, “this number was 21%, indicating that an increased percentage of citizens now believe that the government is unable to address unemployment”, the report states.